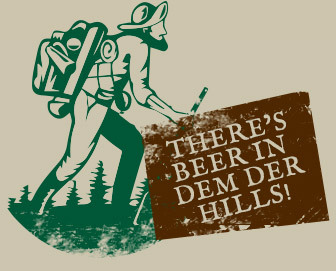 • There's Beer in Dem Der Hills! 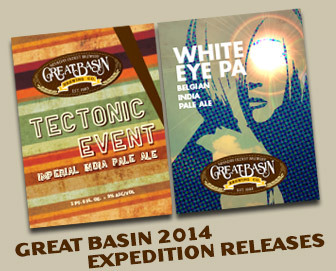 • New Great Basin 2014 Expedition Releases Coming Soon! When oh when will my favorite beer be sold in Southern California? Trust us, we're working on it! In the meantime, dare I suggest that you deserve a little road trip? 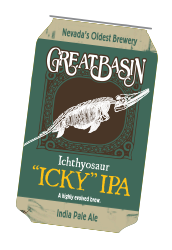 I hear Mammoth Lakes is nice this time of year, plus they have lots of bottled Great Basin beer on store shelves for the drinking. Sure, it’s because of him you have that thinning hairline, but forget that for a minute. 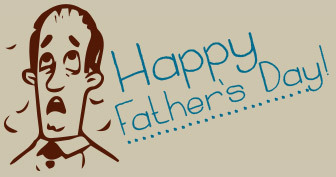 Let dad know that you don’t hold it against him Sunday, June 15th and take him out for a Father's Day lunch or dinner at Great Basin and with the purchase of any entrée, we’ll give him a free pint of beer. It’ll help him forget how much you whine about your hairline. Summertime’s Here: Know Where Your Icky Is. Sunscreen… check. Life preserver… check. Last will and testament… check. Among the most important things you make sure you get before you set out on your summer adventure, don’t forget a 12-pack of Icky in a can. It’s highly portable and recyclable, and won’t shatter when Frankie Jr. tosses the football to the back of your head (…he knew you weren’t looking). Pick up 12-packs in either of our brewpubs and look for them in stores any day now! 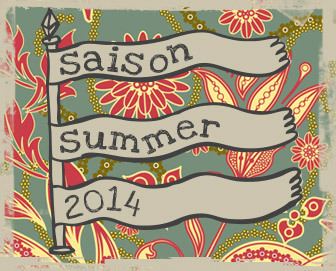 The recent heat has made it painfully clear that we are already in the full-swing of the Summer Saison (season). We figured this was the perfect excuse to start rolling out some brand-new beers designed for summer refreshment, starting with our Rosemary Rye Saison – which has all the great components of our traditional Rosemary Rye Patch - with a French Saison yeast strain that adds to the spicy, citrusy, and crisp elements. Traditionally, Saisons were produced in northern France and Belgium as sustenance for farm workers, who received multiple pints throughout the workday. Each farm had their own distinctive style – spices, fruits, herbs – whatever they could get their hands on. We decided that “Saison Summer” had a nice ring to it – so throughout the upcoming months we will be releasing complex, possibly strange, always refreshing Saisons. Next week we’ll release our (currently unnamed) Basil and Kaffir Lime Leaf Saison. In true farmhouse fashion, we will be looking to “non-traditional” ingredients for upcoming releases. So, even if you’re not a seasonal farm worker in Europe, you can enjoy the fruits, or possibly vegetables, of our labors. 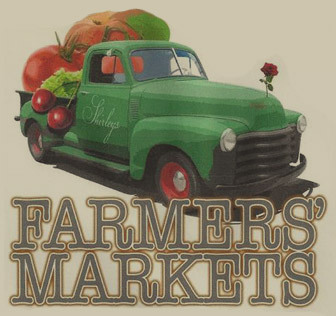 The annual Sparks Farmer's Market in Victorian Square kicks off on Thursday, June 12th from 3pm - 8pm. Stop in at Great Basin for dinner and live music before, or after you check out the selection of farm-fresh vegetables, fruits, flowers and handcrafted items from your local farmers and artisans. For the California craft beer prospector who has heard rumors of us through the hop vine: it's true, Great Basin is expanding into your territory! From Alturas, to Roseville and down into Mammoth Lakes, we're coming to your local stores, taverns and restaurants. If you don't see us yet be sure to ask! 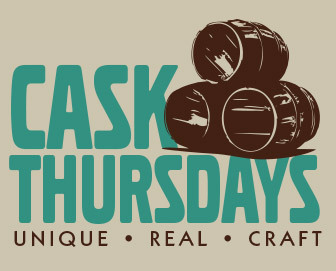 Beginning Thursday June 19th, there will be a handcrafted cask-conditioned brew released every 2 weeks at our Reno brewpub. This unfiltered, hand-pumped, “live ale” is ever changing, and because it’s carbonated naturally, the delicate flavors of the beer will be the only thing you’ll taste. Come with us as we explore this doorway to beervana. 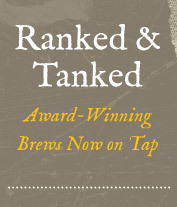 Remember, each cask is a one-of-a-kind creation, and once it’s gone it’s gone. With the warmer weather we’re giving our menu some room to breathe with lighter fare! Come in today and try Great Basin's new menu with featured items Porkin' Potatoes, Brewmaster's Bruschetta, Salmon Burger, Steak Tacos, Linguini Pomodoro and a super delicious new version of our Mouse Trap (apparently you can build a better one). Coming Soon beginning in early July.